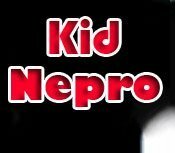 We recently purchased several libraries from Kid Nepro for the two Tritons we have in our studio. All I can say is "INSPIRING". These sounds are simply the best I've heard from any 3rd party soundware party developer. My team here at GameBeat, inc. (www.gamebeatinc.com) works on some of the biggest video game projects released and Kid Nepro's sounds have given us an entirely new level of creativity and inspiration! We highly recommend them. Keep'em coming, we'll certainly be back for more! The killer keyboard collection is a terrific improvement over the factory sounds and much better than any of the 'freebies' I've downloaded off the web. These sounds are not only pleasing and interesting but very usable and seem like they will sit very well in a mix, so I'm sure they will get a lot of use. Thanks. Your sounds are sweet! Every Triton user should get your volumes just to get a good idea of how amazing the Triton really is! Man I just ordered your Studio Session Mix. AWESOME. I only got through less than 25% of the sounds and came up with 3 new songs. I'm sure that Vol #3 is going to be the bomb too. THANKS, WORTH EVERY PENNY AND THEN SOME!!! I just received my Triton Classic Synths PCG and I'm very impressed. They are very good, mostly better then the Triton presents. I was just curious what your background is and if thought about producing your own records etc. You guys are very talented and creative. Must be really experienced with synthesis, don't know how you do it. Thank you very much ! I've downloaded all the three PCG. They are AWESOME ! Very nice work! Excellent and very useable sounds! What a great value! A phenomenal set of patches and combis in the Techno/Dance volume #4 Incredible value for the money. Thanks for volume #4 for the Triton. Again I am impressed! I spend hours playing the sounds and rhythms. I am even asking myself if I still want to buy a groove box now I have this... ha! I received my sound files (Korg Triton bundle) last week and had a blast with all the new sounds. They are well designed and very functional. This is the first time I have purchased sounds from non-Korg sources and it has been a good experience. I was skeptical at first but the reviews and customer feedback eased some of my concerns. Keep up the good work. Your "Screamin' B3" collection rocks! I especially like the first program entitled "Screamin' B3." I can hardly wait to use it live! Keep up the great work!